Last year I was lucky to be included in The Big Learner Relay as lead car. 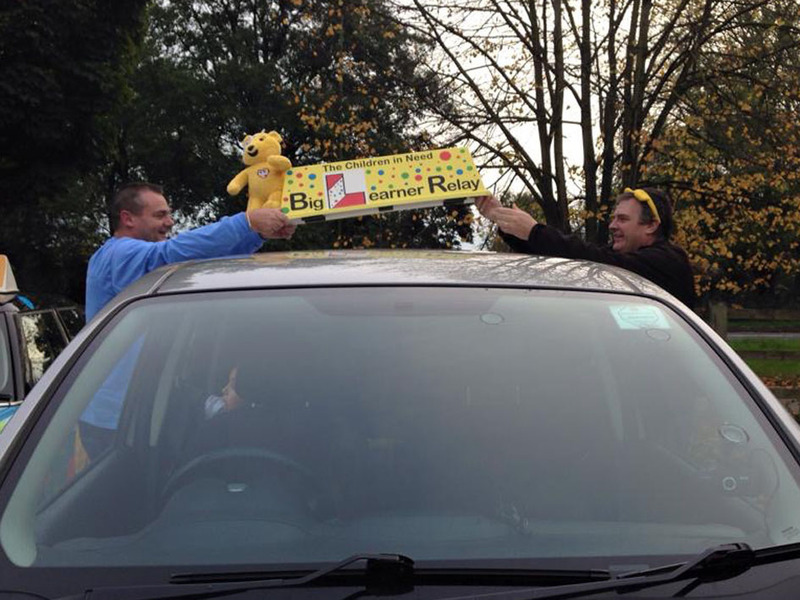 My pupil, Thomas drove up to Midhurts and we swapped the Pudsey Bear Roofbox over and relayed it to Petersfield. This year it was the turn of Steve Pearce to be lead car, and I was proud to be his support (as he was mine last year). 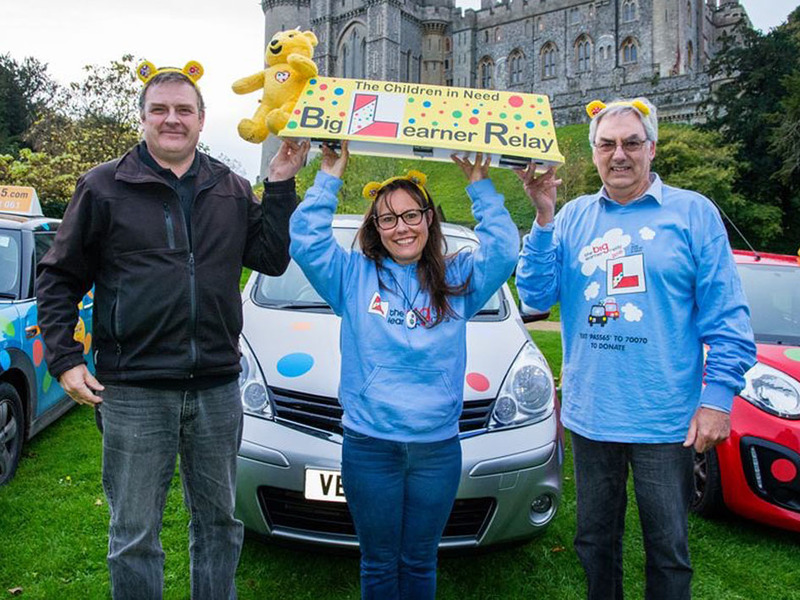 The Big Learner Relay was the brainchild of driving instructor Louise Walsh, and last year driving instructors from all over the UK and Northern Ireland helped raise just over £65,000 for BBC's Children in Need. I have taken the liberty of copying the following from The Big Learner Relay's official website as Lou explains it much better than me! I hope you don't mind Lou! 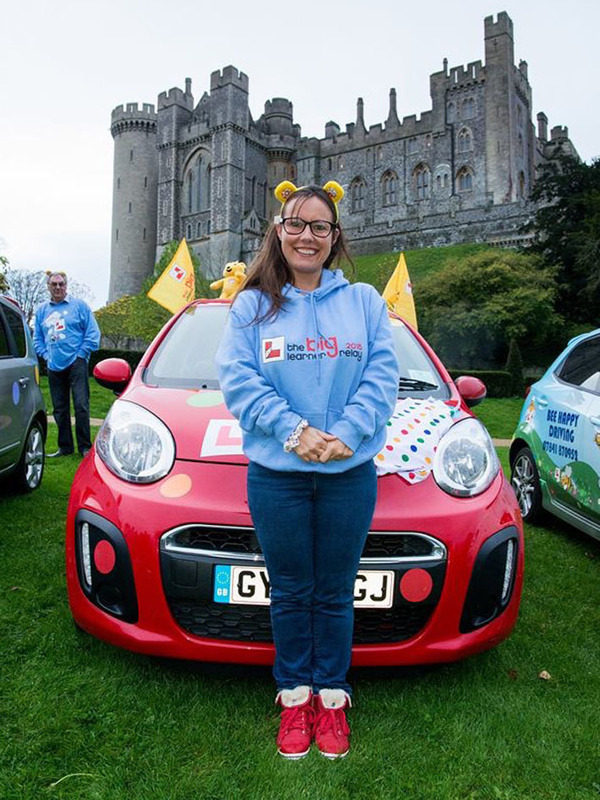 "In November 2013 whilst watching The BBC’s Children in Need Appeal Show I started to think of how Driving Instructors could get involved with the charity… and The Big Learner Relay was born! 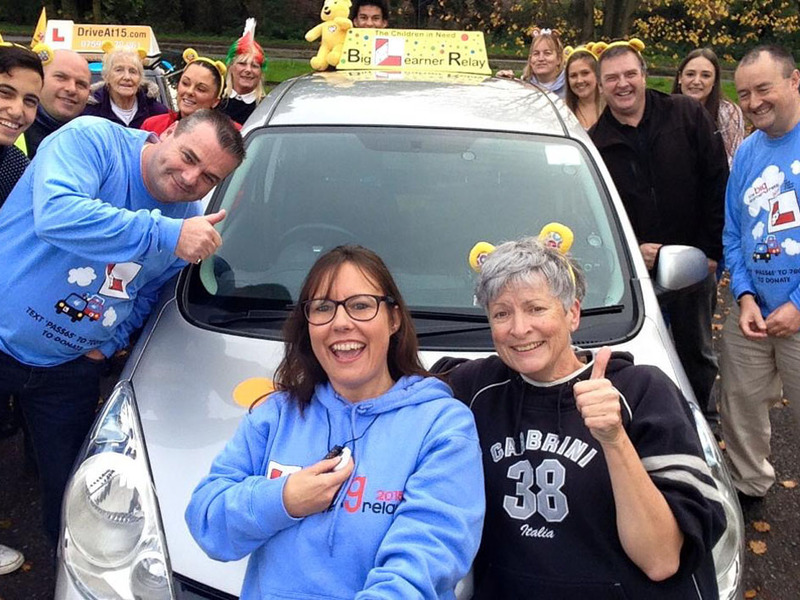 After months of planning, The Big Learner Relay for Children in Need became a reality and in November of 2014 Driving Instructors across The UK came together to make it a fantastic success. Over 2,500 miles, over 14 days, over 135 instructors and pupils relayed the Big Learner Relay Top Box from one driving lesson to another! Over 1000 instructors got involved either by going spotty, fundraising and sponsoring or by joining the relay. Some legs of the relay had convoys of instructor cars as far as the eye could see! 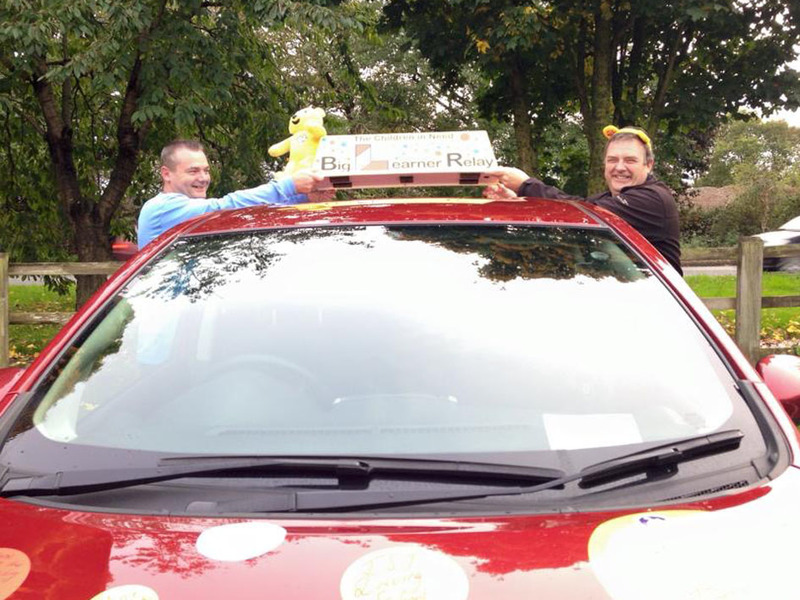 We smashed our rather conservative target of £5,000 and handed over a whopping £65,500 to Children in Need in 2014 showing that Driving Instructors can make a difference. With last year’s relay being such a resounding success how could we not do it all again this year?! There are many ways you can get involved – join the relay, get spotty, support our merchandize shop or simply donate and follow us virtually. There is an opportunity for everyone. On this website you will find all the information you need to get involved. Please also follow us on Twitter and Facebook for all the latest BLR news. The task of making this event a reality is only possible due to the enthusiasm and support of so many instructors. This year’s route has been planned to take in as many places as we can over the two weeks and to involve as many driving instructors and pupils as possible. We hope you will be able to join us along the relay route. We have asked a selection of driving instructors to be involved on a more committed level by being lead cars. This is to ensure that every leg of the relay has a confirmed instructor and pupil in place so that the relay runs without a break in the chain. Lead cars were selected based on location, availability and response. To see the full route and find a leg near you please click the route tab above. All lead cars would love you to be involved and will welcome you along. Feel free to just turn up, no booking involved. The relay will only have the impact we are hoping for if as many instructors with pupils come and join it. Last year’s pupils really enjoyed their drive and said it was a lesson like no other! Instructors reported their pupils driving rose to the occasion and many said it was a turning point in their pupils learning! Not wanting to miss out on any of the fun, I am travelling the whole route in the back of each lead car. I am looking forward to meeting so many of you, taking photos, cheering you on, updating the live feeds, communicating with the media and wearing my Big Learner Relay T-shirt with pride, as we travel around the country. Please come and say hello! The relay starts with one day in Northern Ireland on Monday 26th October. The Isle of Wight then kicks off the main route on Friday 30th October. The relay then continues its convoy around the UK finishing in Swindon on the 13th November – Children in Need Appeal Day 2015 – 15 days, 3000 miles, 180 lead driving lessons and many hundreds of instructors and pupils joining the convoy – Come and join us! See you in the relay!" Below are some of the photos from this year's ceremonial swapping of the roofbox!